For many of us, the Holy Week is a temporary escape from the work deadlines and city traffic. Apart from it being a time for a spiritual journey, we make the most out of this short break to have some downtime for ourselves, spend well-deserved time with loved ones, and, of course, to travel. 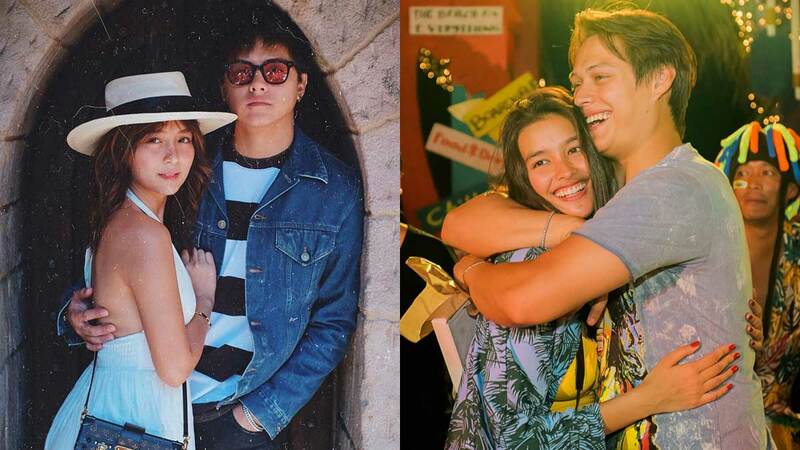 After their hit primetime series La Luna Sangre wrapped up and before they shoot for their upcoming Cathy Garcia-Molina flick, the couple traveled to the US for some R&R. Nadine and James spent the Holy Week in Thailand after non-stop promos for their recent film Never Not Love You. Liza hosted a surprise Jamaican-themed party in Anilao, Batangas for her beau Enrique's 26th birthday. Here's popstar royalty Sarah with beau Matteo and his family in Palawan. Why not have Nico Bolzico third-wheeling you? And how about a mini-concert? After Rayver and Janine appeared publicly at the Star Magic Ball in October 2017, the two have become inseparable since. Here they are spending the holidays in Japan, along with Janine's sister and boyfriend.